The most accessible policy text available. Policy making is a political struggle over values and ideas. 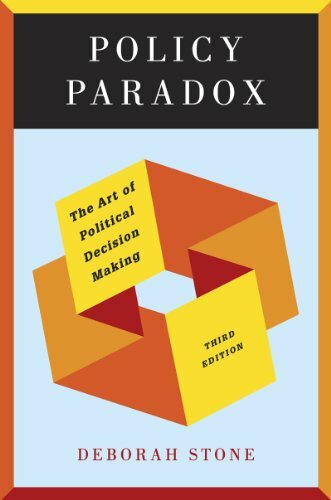 By exposing the paradoxes that underlie even seemingly straightforward policy decisions, Policy Paradox shows students that politics cannot be cleansed from the process in favor of “rationality.” Author Deborah Stone has fully revised and updated this popular text, which now includes many paradoxes that have arisen since September 11. Examples throughout the book have been updated, and the prose has been streamlined to make a great read even better. Deborah Stone holds appointments as Research Professor of Government at Dartmouth College and Honorary Professor of Political Science at Aarhus University in Denmark. She has taught in undergraduate and graduate programs at Brandeis, MIT, Yale, Tulane, and Duke, as well as in universities worldwide where Policy Paradox is used.